There are a lot of food bloggers and recipe developers devoted to creating only gluten free recipes. I am not one of them. But I recently had a client ask me to develop some gluten free baked goods and so I experimented with several non-wheat flours including rice flour, sorghum flour, tapioca and potato starch. I quickly realized that they have their own flavors, strengths and foibles. Anyone who has visited the grocery store lately may have come to the conclusion that we are moving into a new realm, discovering and rediscovering non-wheat flours. While I haven’t reviewed gluten free baking books up till now, I found these books particularly interesting and each takes a very different approach. Alice Medrich experimented with non-wheat flours, baking for flavor, rather than for health or to avoid gluten. 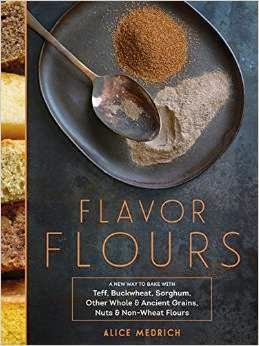 While her book Flavor Flours features 125 gluten free dessert recipes, it’s really all about exploring flavor through flours opening up possibilities for all bakers not just those limited to gluten free ingredients. The flours she focuses on are rice, oat, corn and cornmeal, buckwheat, chestnut, teff, sorghum and nut and coconut. Each chapter focuses on a flour, rather than a style of baked goods and begins with a list of flavor affinities—the ingredients that play well with the flour such as nuts, caramel and fresh apples with oat flour or toasted hazelnuts, dark spice an coffee with buckwheat flour. In exploring these flours, she has reinvented classic desserts such as Oat and Almond Tuilles, Chestnut Buche de Noel, Buckwheat Gingerbread and Coconut Key Lime Tart. It's a ground breaking book. 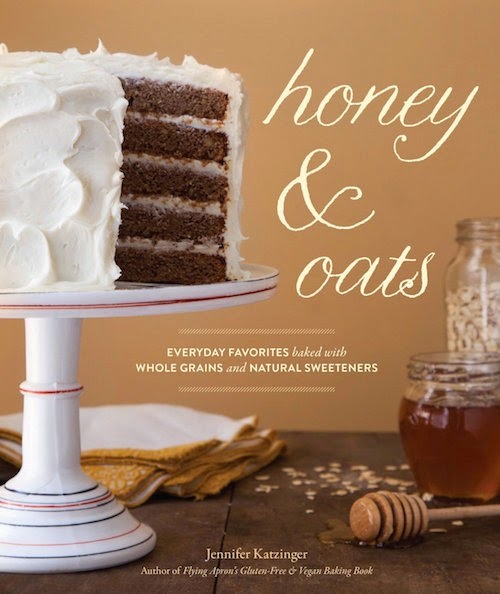 Honey & Oats is not a gluten free cookbook, it’s focus is on whole grains and natural sweeteners. The book includes whole wheat flour, which is often not used to it’s best advantage. What I like about this book is that taste clearly comes first. The author Jennifer Katzinger is not afraid to use eggs, butter and some whole wheat flour. This book is really good for bakers who want to start using whole grains, alternative flours and less refined sweeteners and don’t want to use ingredients like xanthan gum. Gluten free and vegan recipes are indicated as such. In some recipes Katzinger gives the option to dial up or down the texture using ingredients like tapioca flour or blending two kinds of flours instead of using one. Recipes you’ll want to try include Chocolate Pistachio Shortbread Bars, Lavash Flatbread, Honey Oat Bread and Carrot Pineapple Cupcakes. 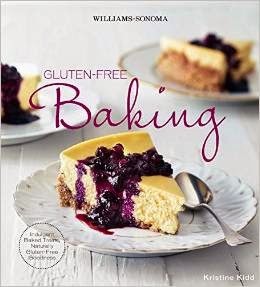 Veteran recipe developer and magazine editor Kristine Kidd is the author of Williams Sonoma Gluten-Free Baking, a great primer for those adopting a gluten free diet. Kidd goes beyond flour blends that she calls “nutritionally empty white starches.” In addition to well-tested recipes there are lots of tips, tricks and techniques as well as information about each of the gluten free flours and starches and how to use them. There are classic recipes like Cheesecake with Blueberry Sauce, Chocolate Chip Oatmeal Cookies and Apple Crumble Pie as well as appealing modern desserts like Fudgy Ginger Nut Meringues, Broccoli and Goat Cheese Quiche and Chai-Spiced Flan. 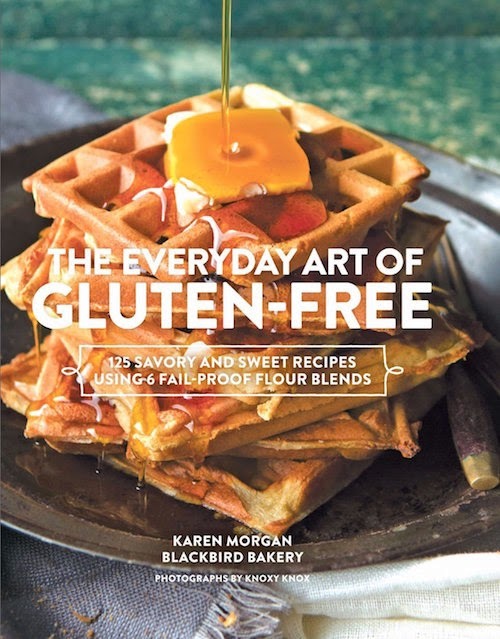 In The Everyday Art of Gluten-Free, Karen Morgan of Blackbird Bakery takes almost the opposite approach to gluten free cooking and baking--she offers six different gluten free flour blends that can be used for recipes for everything from fried chicken to sourdough to cinnamon rolls to pastas to tempura. There are 125 recipes for both sweet and savory things you might not realize you can make gluten free. There are biscuit, donut & fritter, pie & pasta, cookie jar, cake & muffin and bread & pizza blends. Most of the ingredients are measured in cups as well as grams. Use a scale for best results. While Alice Medrich approaches baking with the rigor of a scientist, the true kitchen geeks are Aki Kamazawa and H. Alexander Talbot the Ideas in Food bloggers. 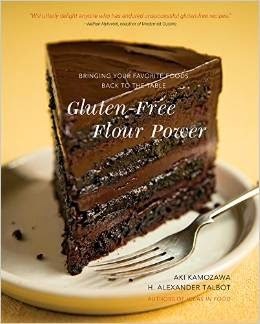 Their book Gluten-Free Flour Power will be released towards the end of March 2015, but I received an advance reading copy. Their recipes rely on three custom "all purpose" blends of gluten free flours, including one developed with no milk powder for those with dairy allergies. 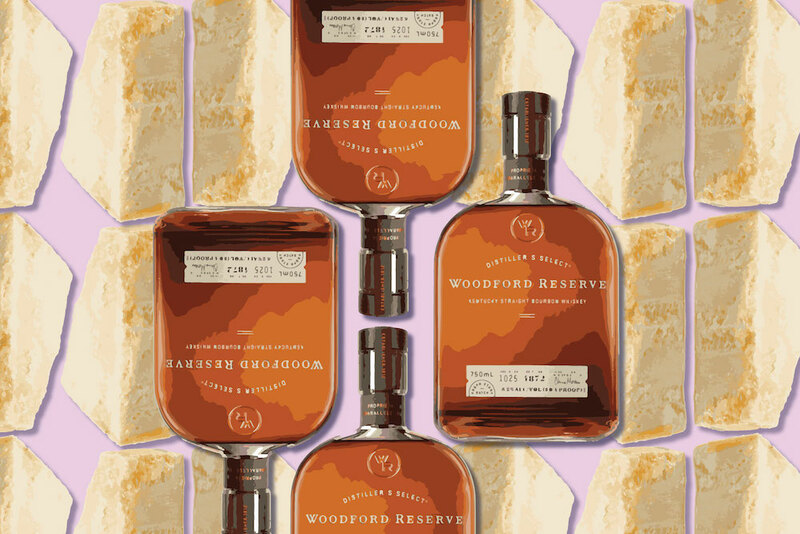 They have tested every recipe using each blend and find them to be interchangeable. They also explore doughs like sourdough starter and brioche. The goal of their book is to recreate favorite recipes that traditionally use wheat flour—everything from Chinese steamed buns and dumplings, to pound cake, madeleines, pastas, crackers, crumpets, breads, cookies, pies, cakes and more. While I didn’t see a recipe for croissants, there is one for kouign amann, a type of laminated dough. It’s a very intriguing book sure to satisfy gluten free bakers on the quest for the illusive gluten free doughnut or pizza recipe.